Winner of the Morton N. Cohen Award for a distinguished edition of letters, Modern Language Association, 2001. When first published in 2000, Volume I of The Selected Letters of Tennessee Williams was hailed as “indispensable” (Choice), a “carefully researched, fully documented study” (Buffalo News), and “a model edition of a significant set of letters by one of America’s leading writers” (MLA citation for the biennial Morton N. Cohen Award). Now available as a paperbook, it is hoped that this volume will help a widening circle of readers appreciate that the great American playwright was also “a prodigy of the letter” (Allan JaIon, San Francisco Chronicle). Tennessee Williams wrote to family, friends, and fellow artists with varying measures of piety, wit, and astute self-knowledge. Presented with a running commentary to separate Williams’s sometimes hilarious, often devious, counter-reality from truth, the letters form a virtual autobiography of the great American dramatist. 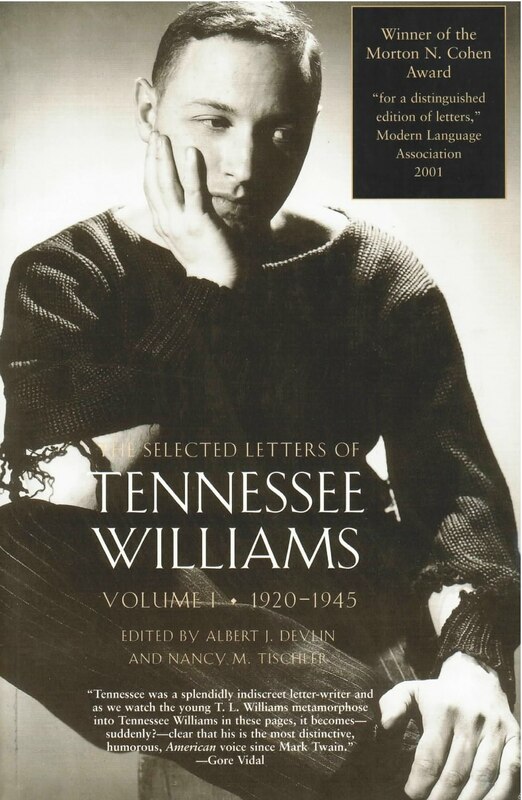 Volume I of The Selected Letters of Tennessee Williams: 1920-1945 includes 330 letters written to nearly seventy correspondents and chosen from a group of 900 letters collected by two leading Williams scholars: Albert J. Devlin, Professor of English at the University of Missouri, and Nancy M. Tischler, Professor Emerita of English at the Pennsylvania State University. His letters are among the century’s finest.